Every child needs a loving and permanent family, yet there are countless children around the world living in orphanages and foster homes who are still waiting. We strive each and every day to help these children find families, but for some the need becomes more and more urgent with each passing day. Whether it’s a medical condition which requires urgent care, or the fact that they’re nearing the age at which they will age out, many children are faced with an unknown fate. These are the kids who need your help NOW. You have the ability to make a difference by simply sharing their story to help their Forever Families find them. We’re currently advocating for one boy in particular who has medical needs which require urgent attention, Lincoln. Lincoln is a sweet 4 and a half year old boy who is described by his caretakers as being very cute, cooperative and smart. He gets along well with other children and enjoys playing games and participating in group activities. Lincoln is good at following directions and will often help his caretakers with their chores. Sometimes when he sees that his caretakers are tired he will give them little back massages to help make them feel better. Lincoln has a very serious congenital heart defect (CHD) and he needs medical attention. 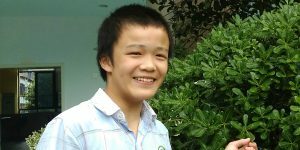 Because of the complexity of his heart condition, he is no longer able to receive the care he needs in China. Most likely the only chance this child has to survive and have a healthy, happy life, is if he is adopted by a family in the United States who can give him the medical care, love and attention he needs. If you or someone you know is interested in learning more about sweet Lincoln or reviewing his medical file, our China adoption specialists would be happy to speak to you and provide you with more information on his heart condition. We’re so hopeful that we will be able to help Lincoln find his family so that he can come home as quickly as possible. For more information contact GWCA today! Click here to Watch Lincoln's New Video! 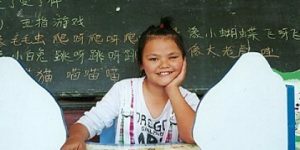 Of the 70+ kids that GWCA and CAN’s adoption specialists are currently advocating for, there are 7 kids in our China program alone who are currently in danger of aging out within the next year. When a child ages out of an adoption care system, they are no longer able to be adopted by a family, even if there is a family that’s interested in bringing them home. For orphans in China, this happens at the young age of 14. It is crucial that we find families for these kids as soon as possible so that their families will have enough time to complete their adoption before they turn 14 years old. For more information on adopting a child who is aging out, please contact GWCA’s China adoption team today! This amazing kiddo’s name is Colt! Colt will be turning 14 this September, meaning he will lose his chance at finding a family. Colt was born with tetralogy of fallot, but he had surgery in April of 2005 and has thrived since that time! Colt is an incredibly smart, social child who would thrive in a forever family. Colt is bright, independent, and mischievous! He loves his teachers and classmates, and he is currently in school! He also loves his brothers and sisters in the orphanage and hopes to one day be adopted and come back to visit them to tell them about the United Stated. 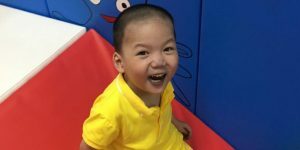 Colt has wanted to be adopted for a long time, and told his caregivers to tell prospective parents, “Dear Father and Mother, I am waiting for you in China.” His caregivers say that he is cheerful, helpful, and has a warm heart. 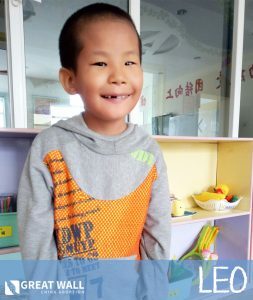 If he sees a caregiver working hard, he will say “Let me help you, you look so tired.” He is a sweet, charismatic little boy who needs to have the love of a family. His caregivers love him very much and hope that he is adopted soon. Please reach out to Great Wall to learn more about this incredible kiddo! Click Here to Watch Colt's New Video! Gemma is an incredible and essentially healthy 13-year old girl who will be aging out of the system this coming Fall. She needs a loving Forever Family to adopt her before she turns 14 or she will never have a chance to know the love and acceptance of a family. Rebecca is a lovely young girl from China that turned turned 13 years old earlier this year. If Rebecca is not adopted before she turns 14, she will age out of the China Adoption System and will never get the chance to have a family. 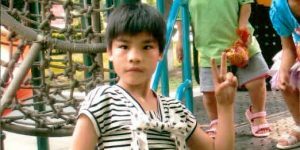 Rebecca has expressed to her caregivers that she very much wants to be adopted by an American family and that she desires to have a home and parents of her own. Visit GWCA’s Waiting Child photo listing to request these kiddos’ files or to learn more about our other aging out kids!